The fusion of Eastern and Western cultures reached its pinnacle earlier today here in Singapore. 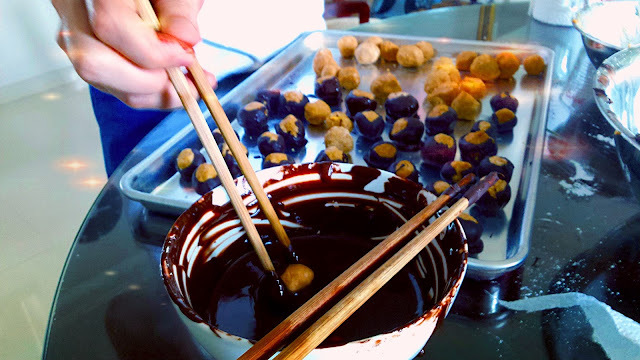 The dipping of the peanut butter balls into its chocolate counterpart was artfully done by chopsticks, since we didn't have any toothpicks on hand. Deliciousness was shared by all.